It’s finally here! Our annual home team throwdown happens this August – accompanied by a bout featuring the 2018 Fresh & Furious champions! Amazing derby action guaranteed. 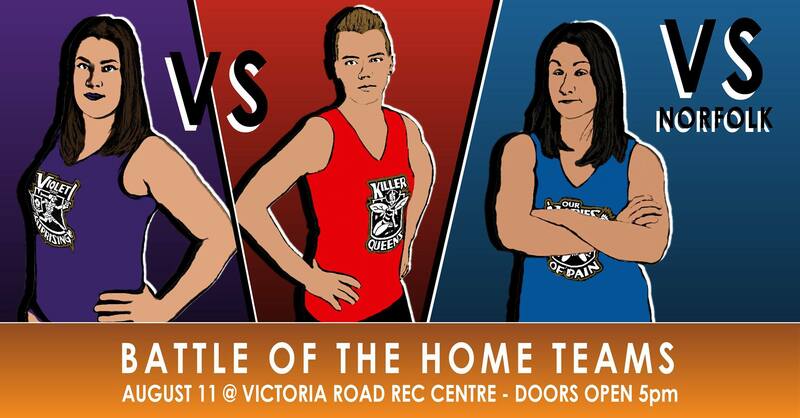 Killer Queens and Violet Uprising will clash at their final regular season bout for the S.O.D.A. Cup. Find out what happens when family gatherings get scrappy! 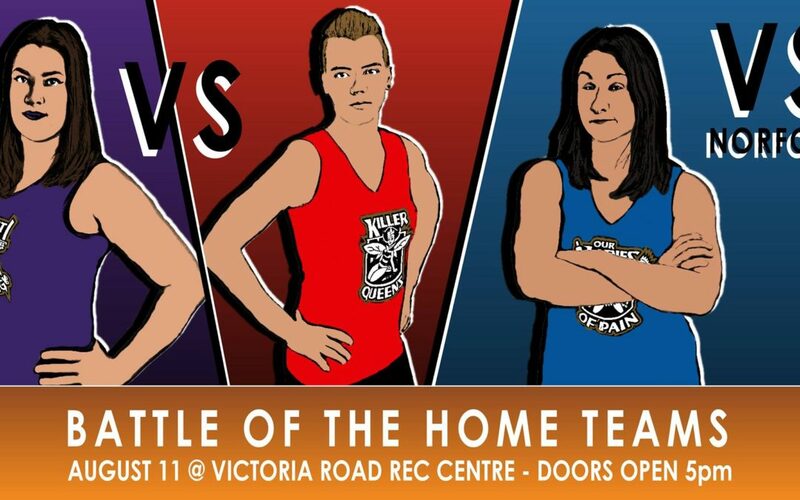 Our Ladies of Pain will take on our friendly southwestern foes Norfolk County Roller Derby.